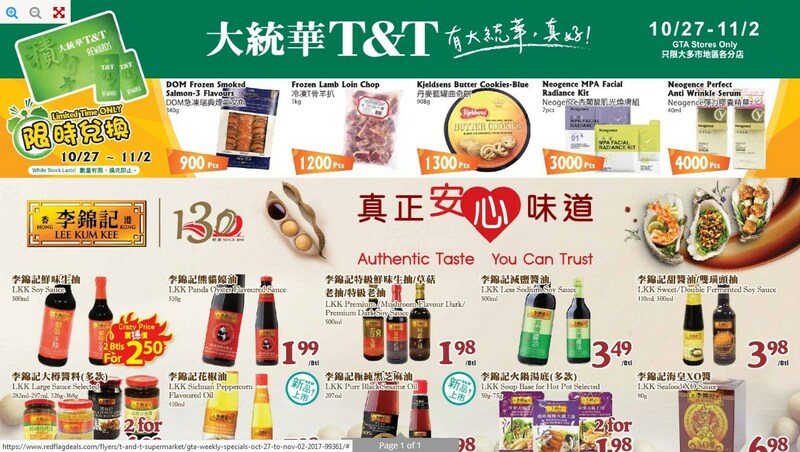 Weekly Specials valid-Find specials Asian foods supermarket on this Store, T&T are give you amazing tasty foods for everyday & every week. Also find special vegetables and seafood which came from Asia. T&T Supermarkets are also famous for the delicious foods. So wait for what else, please visit your nearest T&T shop for a taste sensation. 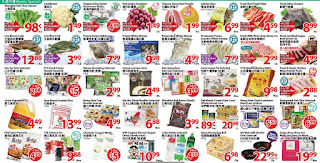 Look at T&T flyer Weekly Specials includes Golden Hami melon, Gala apple, Chinese lettuce, watercress, chive (nira), Lychee, Live manila clam, fresh king mackeral steak, live canner lobester, frozen white shrimp, live white shrimp, love brown crab, frozen cooked whole crawfish, K-food sanuki udon K-food, LKF Bun selected, K.J foods bun/dumpling selected, Buono frozen mochi desert, Activia yogurt selected activia, Oasis orange juice selected oasis, Frozen ribeye beef slice, Heiwa calrose rice, Unico vegetable oil, LKK Soy sauce/premium soy sauce (Regular/Dark), T&T Korean bulgogi sauce/kalbi marinade sauce. 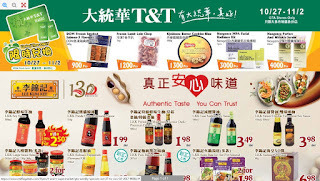 T&T supermarket Blowout sale range, you can find Napa (Short), Ataulfo mango box mexico, Live tilapia, Fresh chicken leg meat (boneless/skinless), Burnbrae famrs jumbo white eggs, T&T Dumpling selected 567g, Que Dua Fried Dace with black bean 184g, sau tao noodles selected 828,880g, T&T thai jasmine rice 18 lbs, Tiger Rice cookers/electric water heater 3 cups-10 cups, 3L, 4L. Many more like these can be browsed through this flyer. Don’t miss out ! 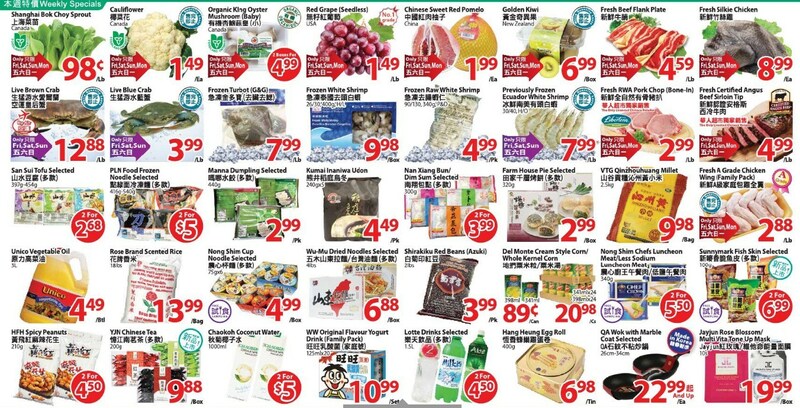 and follow our latest update T&T supermarket flyer to be aware of next other deals every week.